Mixcraft 8 home Studio is an entry-level music program that lets you quickly and easily record up to 16 audio and MIDI tracks, arrange loops, remix, score and edit video, and mix and master compositions. Let your creativity take flight with thousands of music loops and dozens of audio effects and virtual instruments. Take to the stage with eight Sets of automatically synced, non-stop audio and MIDI clip grooves using the amazingly flexible performance Panel, the perfect partner for live performances. 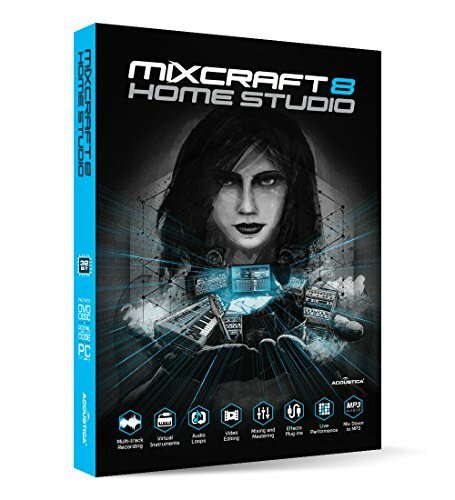 Mixcraft 8 home Studio is the perfect introduction to digital music creation at a price anyone can afford.